Are childhood allergies affecting your kids at school? Dealing with allergies can be difficult, especially during childhood. 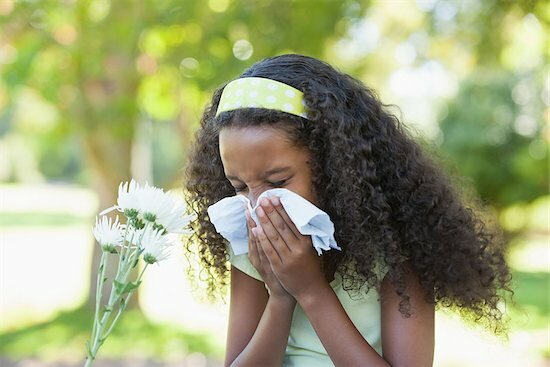 According to the Centers for Disease Control and Prevention (CDC), about 10% of children (under the age of 18) have experienced respiratory allergies. It is difficult for kids, who are dealing with childhood allergies, to avoid anything that will trigger their symptoms. However, it is more important for parents to make sure they that their children are safe in places like school. Are Childhood Allergies Safe at School? Airborne allergens come in many forms, from pollen to dust mites. However, if you want your children to remain safe, it is important to know where they accumulate. This means making sure that schools are allergen-free. The problem is that some educational institutions contain airborne allergens. These allergens trigger the symptoms of children, putting them at risk. Wanda Phipatanakul of Boston’s Children’s Hospital and Harvard Medical School conducted a recent study. She and other researchers sought to find out if airborne allergen affected kids in school. By examining 37 inner-city schools, they were able to detect if there were any common indoor allergens. Surprisingly, there are not many. Researchers found that these schools contained a high level of mouse allergens. These were the biggest cause of severe asthma symptoms. Researchers also found a very low amount of other allergy triggers. This includes dust mites, cockroaches, and rats. Schools seem to keep themselves clean. However, given the location of the study, it is understandable why mice are a problem. Inner-cities have high populations of mice. Their feces are a known allergy trigger. If they are not kept out of the schools, it can be bad for many kids. Parents expect their children to learn in a safe environment, free from any possible danger. There are millions of children with asthma in the United States. Unfortunately, a good number of these asthma cases are poorly monitored and treated. This lack of attention may not be intentional, but it can impair some important functions. One study looked into the effects of untreated asthma on sleep quality and school performance. While it is easy to see how one could affect the other, the results helped identify issues that were previously unclear. The study also helped identify certain social factors that can potentially contribute to respiratory health. A recently concluded study followed 170 children aged 7 to 9, all from urban areas. Their symptoms were assessed and monitored. Parents and schools also aided researchers by providing information regarding changes and care in regard to the asthmatic condition each child had. In this way, quality of care could be determined. Certain patterns were noticed in those children who received less care for their asthma. First of all, there was a decrease in sleep. As a result, those with less sleep found themselves tired at school. With difficulty staying awake, those children also found it hard to adequately complete schoolwork and other tasks, directly affecting schoolwork and performance. Researchers noticed that those who came from lower-income families were at greater risk as well. With high costs of medical care, a child’s asthma was less likely to be tended to. This social factor has moved the medical community to endeavor to educate parents and caregivers on the matter. When the family is involved and knows the facts, a child can be helped to suffer less, sleep better and perform better in class. Schools can help, too, by being able to identify those who do have asthma and need intervention. By working together it is hoped that children in urban areas with asthma can receive the care they need and get the most out of their education.